With the recent advances of technology in greenhouse farming, refrigeration and freezing, food processing and transportation networks, most produce is conveniently available year round. 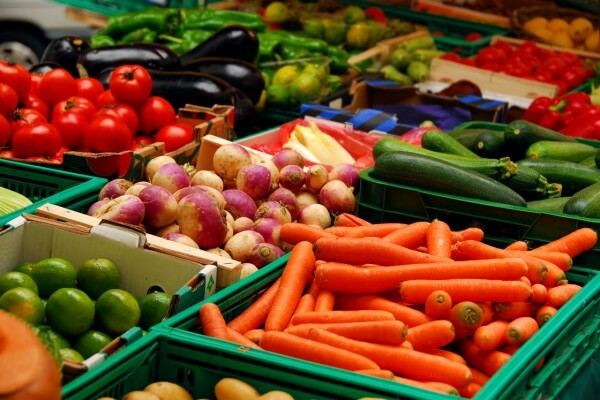 However, vegetables, fruits, and fish harvested when ripe and at their peak and consumed in season taste better, are more affordable, and are richer in vitamins, minerals and nutrients. Foods that have been picked too early and have to travel long distances are often sprayed with chemical ripening agents, wax coatings, and other preservatives. An English researcher discovered that pasteurized milk processed in winter contained a higher content of Iodine versus the same milk in summer which contained a higher content of beta-carotene. A Japanese study discovered higher concentrations of Vitamin C in spinach harvested in the summer versus the winter. Seasonal foods are also tied culturally to traditional events. In Japan kindergarten and elementary school children go on sweet potato digs and strawberry picking field trips which is comparable to apple and pumpkin picking in North America. January 7 is the festival of seven herbs where a rice porridge made with seven wild edible herbs is eaten to promote longevity and health in the spirit of the New Year. The seven herbs are traditionally: water dropwort, Shepherd’s purse, cudweed, chickweed, nipplewort, turnip and radish with some variation depending upon region. Japanese cuisine emphasizes the quality and seasonality of fresh ingredients, especially vegetables. Apart from a few native types of vegetables, many vegetables used today in Japanese cooking were originally introduced from China and the West. Below is a list of Japanese foods that are ripe in different seasons. Autumn-focus on more warming harvest foods. Winter-continue the warming foods trend according to traditional Chinese medicine. Foods that take longer to grow are more warming than foods that grow quickly. Animal proteins fall into this category. Spring-focus on tender new green leafy vegetables. Summer-stick with light cooling foods. Many of these fruits and vegetables are commonly available in your local Asian grocery store. It’s healthy to eat locally grown organic produce that is in season. Check out your local farmers market. Eat with the seasons to maximize optimal nutrition and flavor. With limited growing seasons in most regions it is difficult to eat locally and in season. If possible, grow it or pick it yourself.